Bandwidth Pro - Wifi/3GP/GPRS data usage monitor on app store! 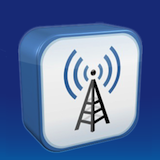 A handy tool to measure the data usage or bandwidth of wifi, 3g, and gprs. Realtime detect the data usage of your ipod/iphone. Lotto Wizard - The only one lottery wheeling system on app store! Fotoshow - iPhone/iPod photo slideshow with music ! 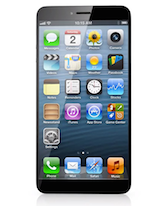 An easy-to-use iPhone/iPod photo slideshow maker. 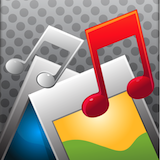 It provides you function to add, edit, make the photo slideshow using your favorite photos and music. Professional user interface and very easy to use. Choose from transition effects for your slideshow. Multiple music files for a single slide show is supported. Easily control for individual photos. Easily to organize your photos into multiple albums. Auto/manual synchronize audio & video, Wifi photo transfering and more!!! Web Downloader - Multi-Thead Web File Downloader ! 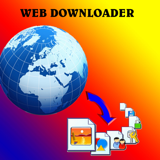 Web Downloader lets you browse web and download any type of favorite file. It is a multi-thread download tool which lets you can download multi files simultaneously. It also provides the function to store and upload or download file from your pc via wifi. Screensaver - An easy-to-use screensaver maker ! It provides you function to add, edit, make the screensaver using your favorite photos and music. Professional user interface and very easy to use. Choose from transition effects for your screensaver. Multiple music files for a single screensaver is supported. Auto/manual synchronize audio & video, Wifi photo transfering and more!!! 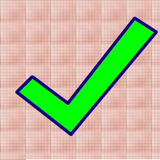 iChecklist - powerful checklist management ! Bandwidth - The only one free wifi/3gp/grps data usage monitor on app store! 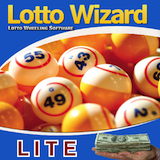 Lotto Wizard Lite- The only one lottery wheeling system on app store! 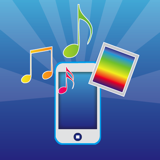 Fotoshow Lite- iPhone/iPod photo slideshow with music ! Awesome app,It is so useful for me to check the usage of my bandwidth. And it can help you to make a plan to avoid overload the bandwidth. I used the lite version and feel it is so great but the only thing is the lite version has ads. This is the perfect one for you to check bandwidth informations. Don't miss it. great app! now i know my bandwidth :D so great!!! Loving it! Delivers as promised. Easy to use and accurate. Simply marvelous! I just love it. This will be great to show slides to friends.